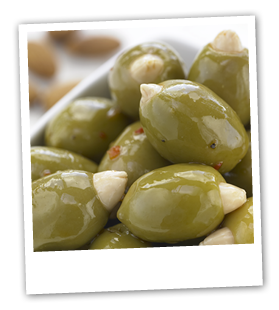 The most important thing for olives or any marinated vegetable is how it is prepared. All the products we have selected have been carefully picked, prepared and packed to retain their original nutritional values and seal in those all important flavours. Our range of marinated vegetables is wide and includes peppers, tomatoes and chillies to name but a few. What they all have in common is the care that has gone into sourcing the best tasting products around. Our friends at Sapori provide us with a perfect selection of visually appealing, stuffed olives to tempt the most discerning of guests. The elusive truffle has long been revered by chefs and food connoisseurs alike and we can supply you with the some of the best quality seasonal varieties.